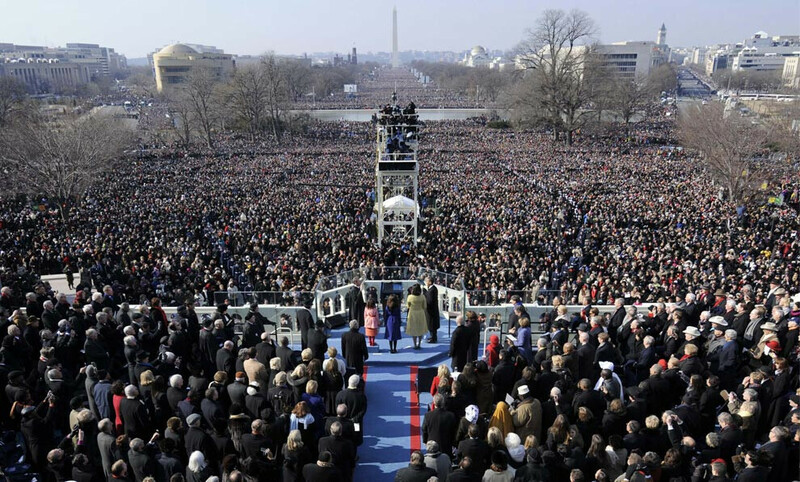 With the Presidential Inauguration coming up on January 21st, 2013, Sprint has been beefing up its network around the National Mall where between 600,000 and 800,000 are expected to attend. Considering that the media will be there with a ton of wireless gear including smartphones and tablets, you can understand why Sprint has been hard at work since April to boost service in the area. Since then, it has increased voice capacity by 25% and data capacity by 37% in the area around the Mall and the rest of Washington D.C.
To boost capacity, Sprint will have in service three COWS. These are Cellular On Wheel mobile units that will be in place at the National Mall – including the Smithsonian National Air and Space Museum and the Smithsonian National Museum of Natural History. The units help "enhance the wireless experience" of those attending the festivities. In addition, in-building repeaters have been installed at the Capital Hilton hotel, the Washington Marriott Wardman Park hotel, and The Mayflower Renaissance Washington DC Hotel. These units will help boot voice and data coverage for those staying at one of those locations, or attending one of the numerous parties to be held at one of those sites. To make sure that first responders can communicate in the case of an emergency, Sprint has its Emergency Response Team in place, coordinating with government officials and businesses. Since the previous inauguration in 2009 and through 2011, Sprint spent $300 million to improve the wireless experience for its customers in the Washington D.C. area. Last year, Sprint started updating its service with its Network Vision, which is the carrier's program to install new 3G and 4G LTE service in certain areas. Network Vision is expected to launch in the Washington D.C. area sometime this year. Too bad Sprint doesnt deploy these in areas that have been hurting because of the Network Vision updates, areas such as Chicago. They started Network Vision there about 8 months ago and some areas are STILL being worked on, LOL. Wait someone is really going to watch this joke of a president get inaugurated again?I wonder if all the middle class folks that have just started getting an extra 4% tax taken out of there paychecks will show up? As much as I hate your comment, you do have a point on the extra taxes taken out and if those people will show up. No they will not be able to afford to go there because of the extra taxes. What are you talking about??? Taxes don't go up for middle class families. Unless you consider people making $250,000 and up middle class. The real joke is the guy he ran against. Thank goodness my vote counted. I don't make over $250k, and my taxes went up. You can try the slide of hand excuse "They didn't go up, some breaks just went away", but bottom line is that This month, I started paying more than I did last month. That's an increase to me. Really?! Your taxes went up since Jan 2? Because that was the first day of the new taxes. Are you receding to maybe state or city tax, because that's something you could actually see taking effect right now. its federal taxes that went up as much as the Obama puppets hate to say that!!! 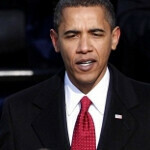 worst president in US history!!!!! Actually your wrong. It definitely increased. I live in Tennessee and my Taxes increased. My brother lives in Texas and his increased as well. There was a tax increase due to some tax breaks not being renewed. So, like donkeysauce said taxes increased. How's your change now? Dumbass.